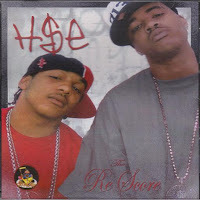 H.$.E, which stands for Hustlaz $tackin' Endz, is a collective that hails from the southside of Houston, TX. The original group consisted of Hump, Lil' Flip, A.P. and Yung Redd. Also, Lil' Flip left the group after their initial release due to his own solo success and A.P. was later replaced with Lil' Ron. 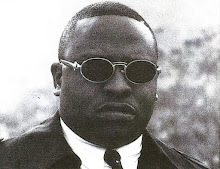 The group and all its' individual artists were also signed under Hump's own independent label known as, Sucka Free Records. Hump started the label in the late nineties and had a good run with H.$.E. and Lil' Flip as the label's core artists. 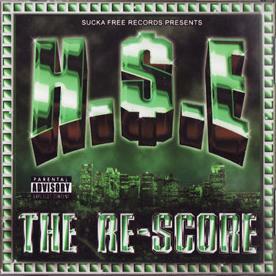 The Re-Score is H.$.E. 's second release and it was put out in 2004 on Sucka Free Records. It's not an official album since it was just released to create a buzz for Yung Redd and Lil' Ron's upcoming album, "The Paper Route." Production on this record is invalid due to most, if not all, the beats are borrowed from other premier artists. The album is at a decent level lyrically. The songs are mostly freestyles with one or two real tracks sprinkled in between. Yung Redd and Lil' Ron are the only ones present with a slew of handsome guest features from Bun B, Paul Wall, Z-Ro, Trae, Twista, David Banner, Grit Boys, Big Shasta, Twisted Black, Yung Ro, A.B.N., Lil' Head and Yung Wun. The album closes out with a grand total of twenty tracks with only a handful of them being entertaining. As mentioned above, the release is in no way official in form or content. It was merely an underground release which was meant to supplement fans till the release of "The Paper Route." Hump just slapped the H.$.E. name on it in hopes of moving a few more units. Even though the release is obscure in nature, it just does not have anything alluring for the listener to look forward to. * The record was also released with an alternative cover. Thanks for all the good shares .. much appreciated. Happy New Year! No problem MC Ren. Good to hear from you and Happy New Year to you as well.